The first official open day was Saturday 25th February. 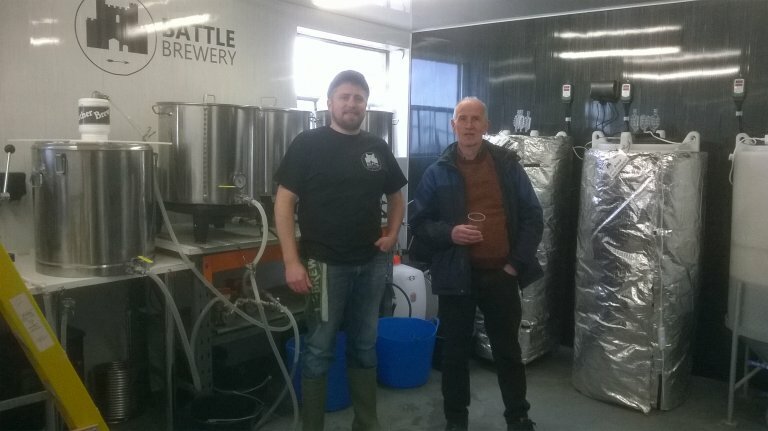 Very many people came to the brewery, to have a taste, chat and to buy the first production batches of Conquest and Abbey Pale. The pilot porter brew, that Greg was brewing during the day, is progressing well and should be ready for sampling early April. Keep an eye on the brewery site for info. 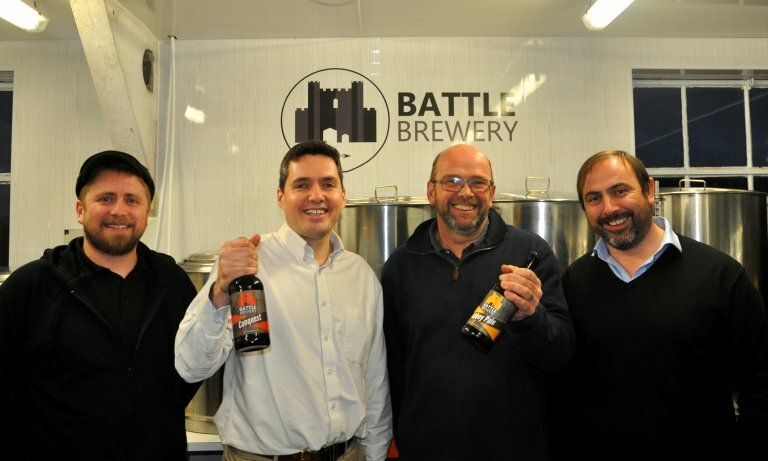 The brewery is open every Saturday from 10.00 to 3.00, plus there is an on-line shop via their site, http://www.battlebrewery.co.uk/. 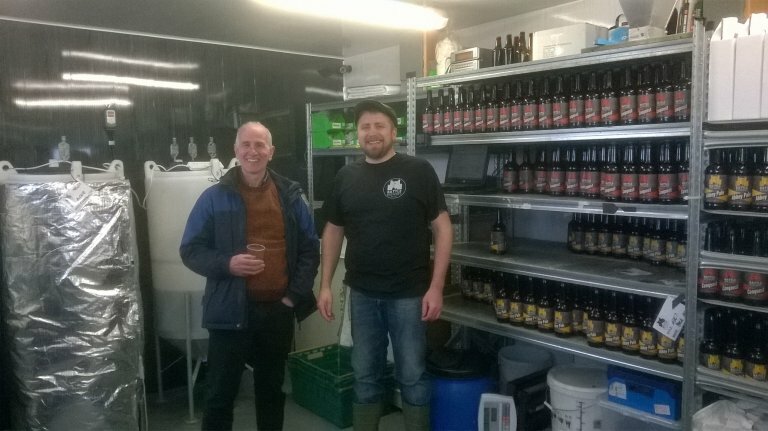 The two pictures are of Greg, the brewer, with Mac McCutcheon, CAMRA brewery liaison officer. 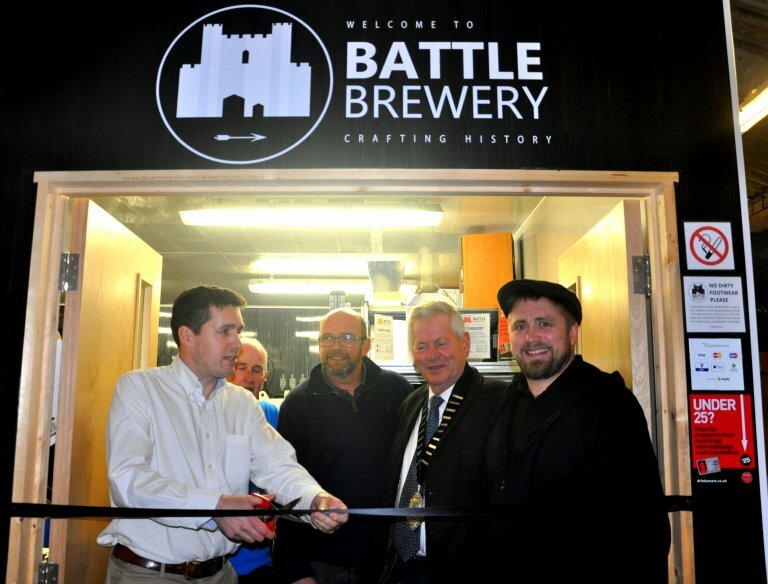 On Friday 3 March, Huw Merriman MP, Battle Mayor David Furness and Mac McCutcheon officially opened the brewery. Huw, David and Mac all enjoyed the samples on offer before Huw and Mac cut the black ribbon across the doors. David Furness said, "What a wonderful business to have in Battle, marking the history of our Town, with such a special product. The beer, both the Conquest and Abbey Pale brews are wonderful and I am sure will a first choice for customers when buying a truly great beer, with a wonderful provenance. I know that this Business will go from strength to strength and I wish the owners the very best of luck in the future".